Fergus has a whole new look. 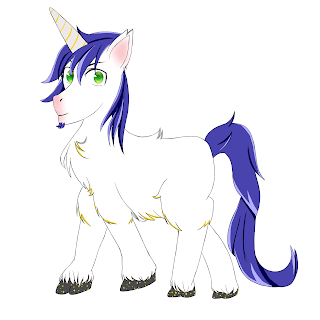 The pesky micro Unicorn has a new look to go along with his new powers. He's growing up and with that he's changing. Coming soon he'll have more books in the new Fergus Adventures series. The art was done by my new Unicorn designer Suzy T over at Suziedoodles. Check her site out and say hi. Surprise! Taki Drake has a New Book!